Who are the Outer Londoners? 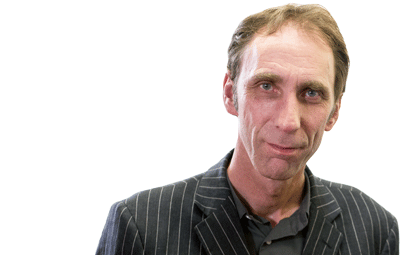 Will Self is a British author, journalist, political commentator and television personality. In 2012 Will was appointed Professor of Contemporary Thought at Brunel University. In successive London mayoral elections Boris Johnson has played the “doughnut card”: emphasising the different needs, views and aims – as he sees them – of outer London residents as against those who live centrally. In truth, Johnson’s tactic has been simply to divide and rule on the basis that outer = more conservative, whereas inner = cosmopolitan – and, by extension, of the left. I’d argue that this crude dichotomy does nobody in London, inner or outer, any favours, while obscuring the real issues facing the entire London conurbation. I’m interested in taking the idea of the doughnut and flipping it into a more positive alignment, thereby asking: Can we meaningfully talk about the whole of London? And, if we can, what issues are raised when we regard London and Londoners in toto? The key problems facing Londoners at the moment are also perennial ones. The question of how we provide affordable housing relates both to our criteria for development, and to the kind of economy we wish to have. The current conflicts between those who wish to build on the Green Belt, and those who’d prefer more brownfield site development (even if this entails dirigiste government intervention) mirror the face-offs between so-called “urbanists” and “dispersionists” during the middle years of the twentieth century – the period when the Green Belt and the New Towns were established. Like those pressure groups, today’s contenders don’t see London’s development as ideologically null, but rather as an opportunity to introduce their social blueprints. This is inevitable: London’s status as a metropolitan and capital city is without parallel, and the conflict – if that’s what it is – between inner and outer is synecdochal of the conflicts between Westminster and the country as a whole. But perhaps it’s worth taking a look at what London should be like in 25 years’ time without wearing political spectacles? Are we aiming for a dense city with high-rise living, or do we wish to maintain the greenish sprawl of the city whatever the consequences for the rest of south-east England? Further: is London’s hinterland of any real interest to Londoners? Do they wish to enjoy the inter-zone between the urban and bucolic along the city’s margins, or would they rather simply leap over it and head for more conventional areas of outstanding natural beauty? More significantly: who are the outer Londoners? Once again, Johnson has sought to characterise them in Little Englander terms, but it will be interesting to see how far he can maintain this – manifestly erroneous – perspective now he’s a doughnut member of parliament. For my own part, I think of London as a totality: from Feltham to Cockfosters and Croydon to Enfield – yes, of course I can see that different neighbourhoods and districts have their own unique identity, but I believe all are subservient to the powerful and resonant London identity. The Doughnut Festival aims to articulate this powerful and resonant identity by locating it in the outer districts, examining their nature and ethos, and plotting the fine green lines of their evolution. Will Self is the patron of Doughnut, the Outer London Festival which was created by the Architecture Foundation and the Old Royal Naval College. This article was originally published by Icon Magazine as the official media partners of the festival.